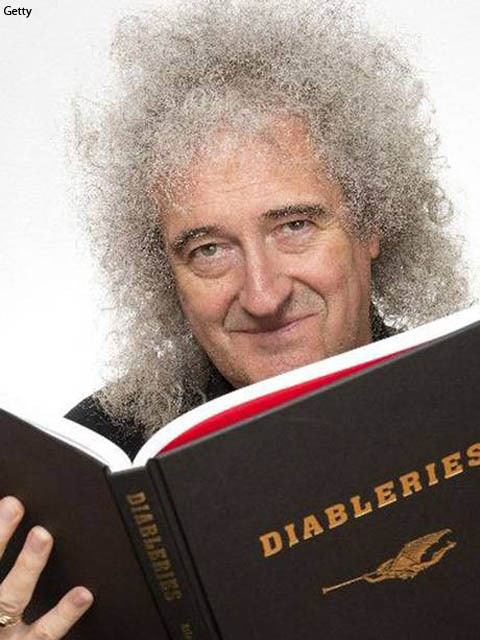 “What the hell are Diableries? You might well ask. No one in the 21st century, bar a handful of dedicated collectors of the arcane like me, had seen these extraordinary treasures – until now. They are, as the subtitle of our book Diableries suggests, “Stereoscopic Adventures in Hell”. And the best word in the English language that we have to describe them is “Devilments”. Created in France by a small band of artistic geniuses, they were the subject of a huge craze in France and Victorian England from around 1860 until the turn of the century. 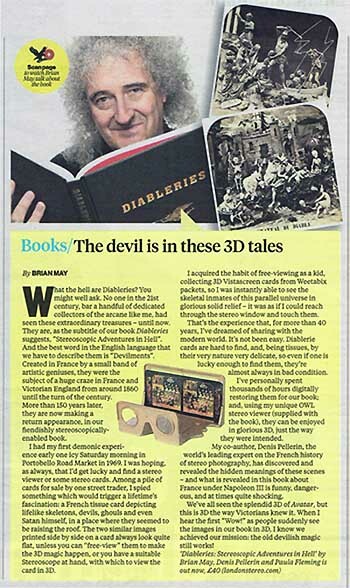 More than 150 years later, they are now making a return appearance, in our fiendishly stereoscopically-enabled book. I had my first demonic experience early one icy Saturday morning in Portobello Road Market in 1969. I was hoping, as always, that I’d get lucky and find a stereo viewer or some stereo cards. Among a pile of cards for sale by one street trader, I spied something which would trigger a lifetime’s fascination: a French tissue card depicting lifelike skeletons, devils, ghouls and even Satan himself, in a place where they seemed to be raising the roof. The two similar images printed side by side on a card always look quite flat, unless you can “free-view” them to make the 3D magic happen, or you have a suitable Stereoscope at hand, with which to view the card in 3D. I acquired the habit of free-viewing as a kid, collecting 3D Vistascreen cards from Weetabix packets, so I was instantly able to see the skeletal inmates of this parallel universe in glorious solid relief – it was as if I could reach through the stereo window and touch them. That’s the experience that, for more than 40 years, I’ve dreamed of sharing with the modern world. It’s not been easy. Diablerie cards are hard to find, and, being tissues, by their very nature very delicate, so even if one is lucky enough to find them, they’re almost always in bad condition. I’ve personally spent thousands of hours digitally restoring them for our book; and, using my unique OWL stereo viewer (supplied with the book), they can be enjoyed in glorious 3D, just the way they were intended. My co-author, Denis Pellerin, the world’s leading expert on the French history of stereo photography, has discovered and revealed the hidden meanings of these scenes – and what is revealed in this book about France under Napoleon III is funny, dangerous, and at times quite shocking. Click image for larger cutting!